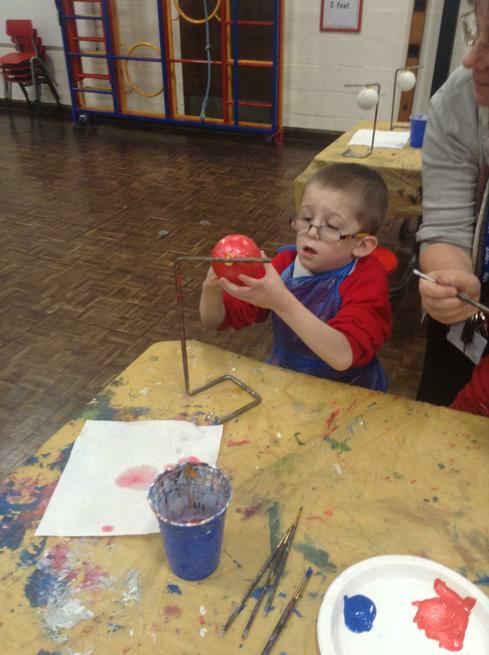 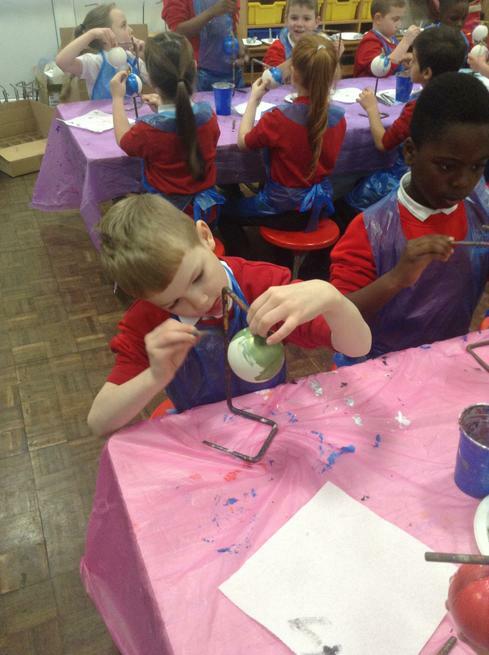 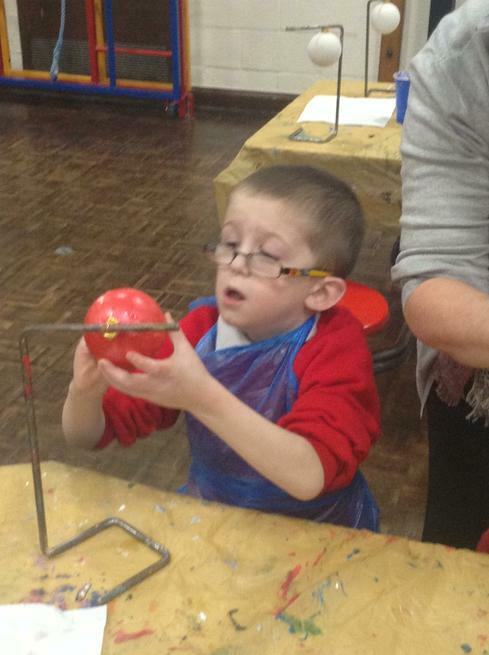 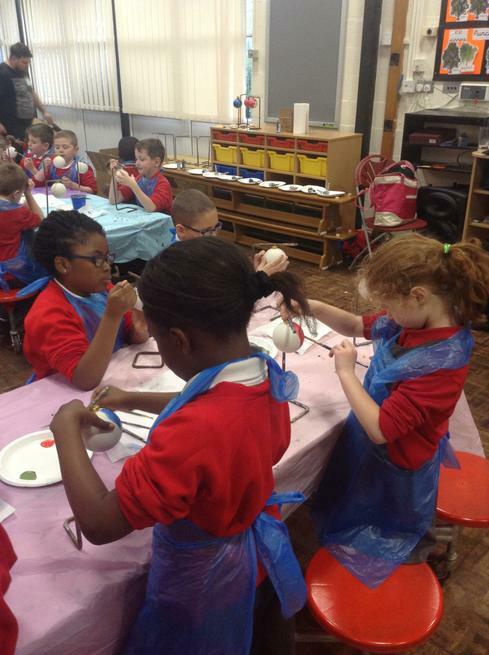 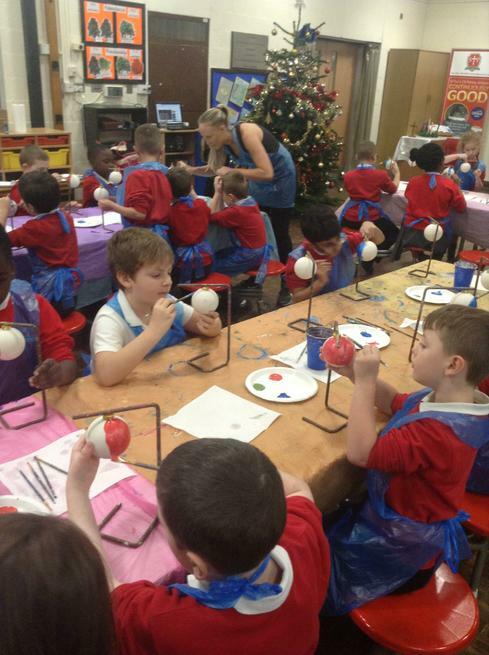 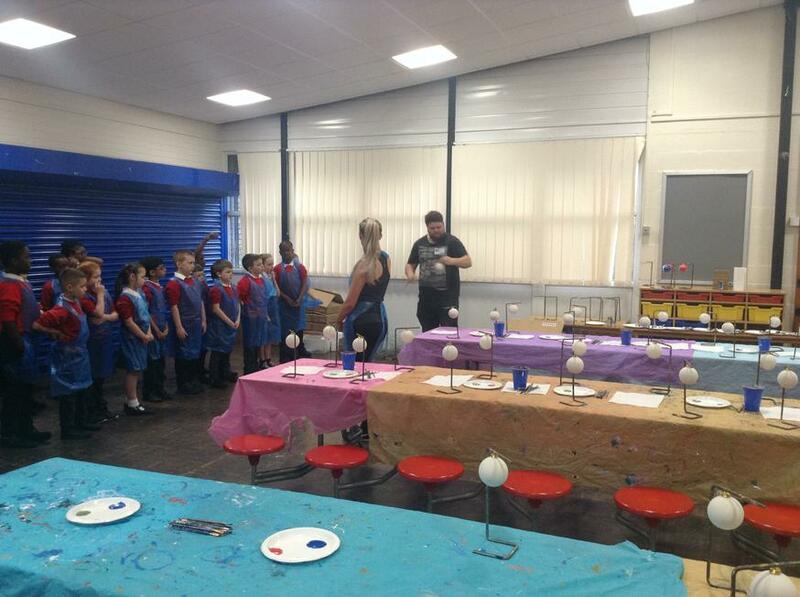 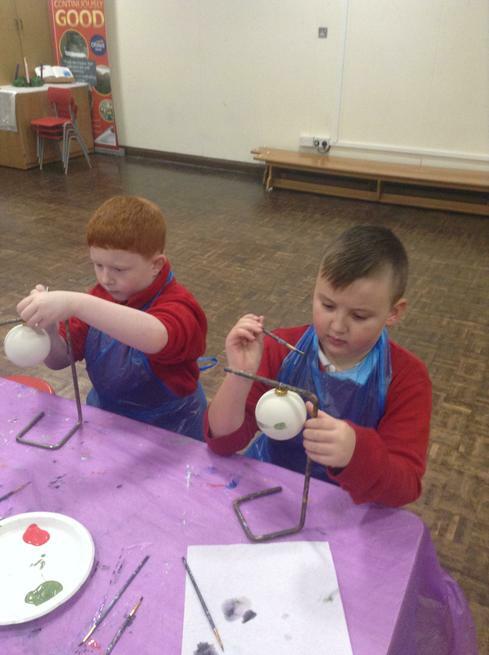 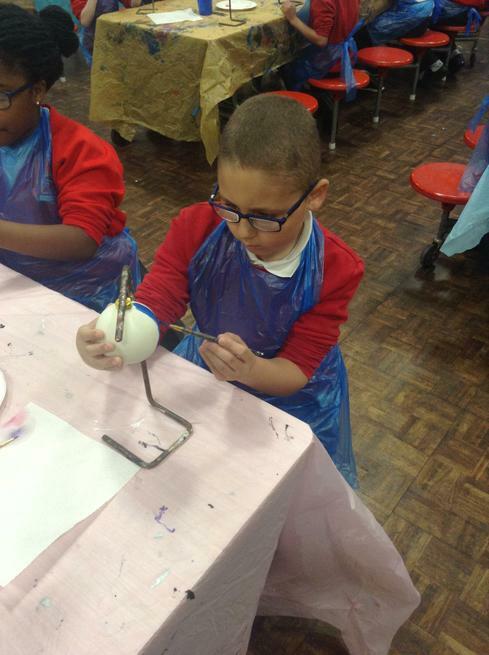 On Tuesday 4th December, the whole school were given the opportunity to paint a ceramic bauble. 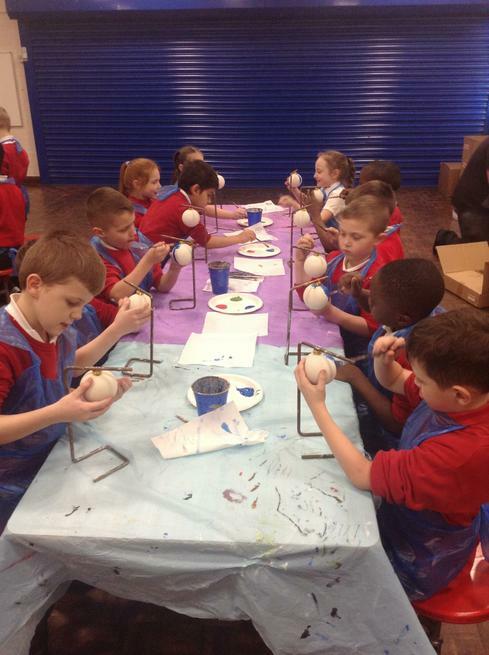 Year 3 had a fantastic afternoon listening to music whilst painting snowmen and penguins. 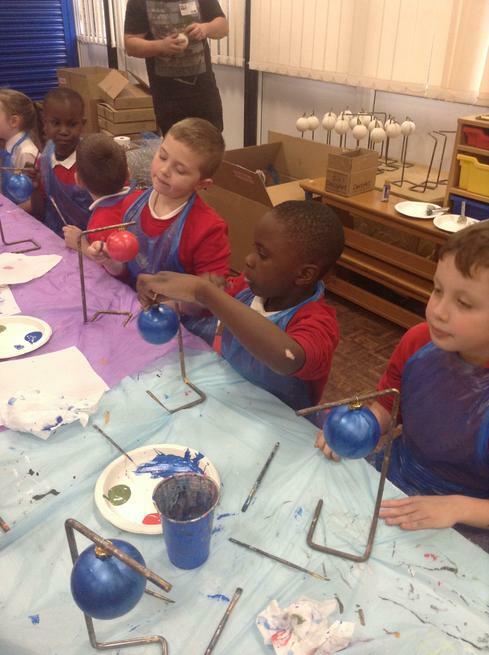 The baubles turned out amazingly well. 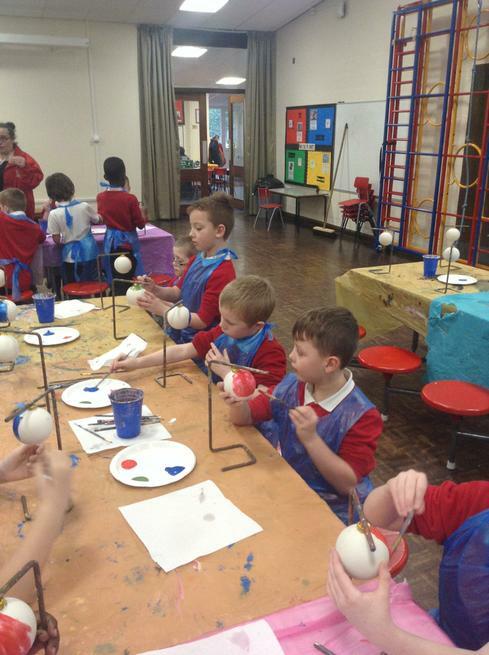 They certainly wouldn't look out of place in a shop window. 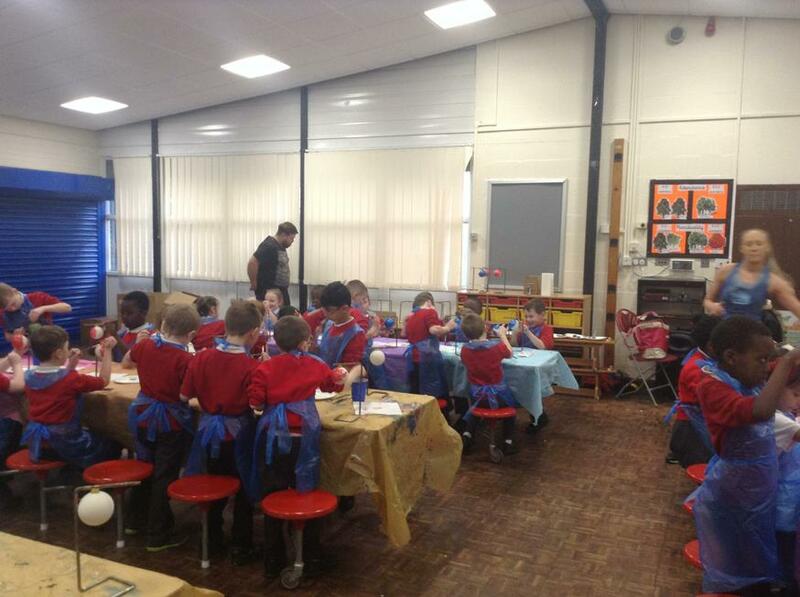 Year 3 showed their fantastic artistic skills.